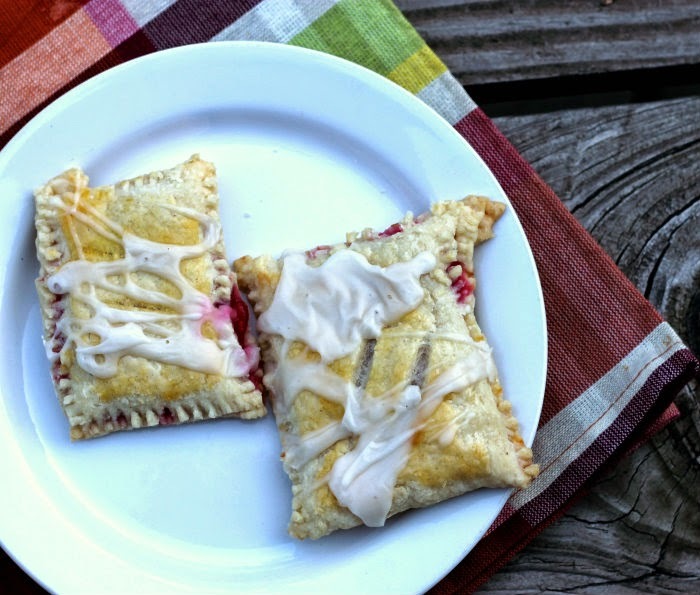 Perfect for breakfast or an afternoon snack. Breakfast has got to be my favorite meal of the day. I wake up in the morning ready to have my breakfast. I can never understand my family members that say they aren’t hungry for breakfast. Really, how can someone not be hungry? Dinner was hours ago. These pastries will certainly tempt even the most non-breakfast eaters. 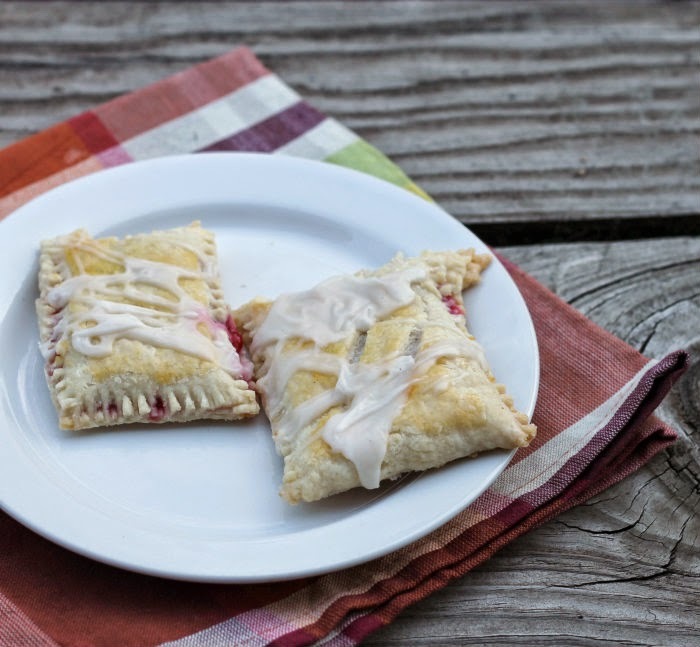 With their flaky crust and the raspberry jam and cream cheese filling you won’t be able to pass these babies up. To be honest I thought about not putting these on my blog. They are a little hard to make, the dough is not really easy to work with. One thing to make sure you do is to have a surface that has plenty of flour so that the dough does not stick. But I have added them to my blog because the end result is very tasty and everyone that tasted them loved them. They are yummy for breakfast, but you can eat them anytime of the day, they also make a great snack. 2. Place flour in a large bowl. Cut in butter with pastry blender or 2 forks until mixture resembles coarse crumbs. Add 1/4 cup water; stir roughly with wooden spoon until dough mostly comes together. Turn out dough on a heavily floured surface; knead 2 to 3 times until dough comes together. Before rolling dough add more flour to your rolling surface. Divide dough in half and roll out one half at a time to 1/8 inch thick. Make cream cheese filling. 3. In a medium bowl, beat together all the filling ingredients except for the jam. In a small bowl beat the egg white. 4. Spread enough cream cheese to cover about a 1 1/2 inch square and top with about 1/2 teaspoon of jam and spread over the cream cheese. Leave about a 1/2 inch to an inch between each filling, do this over half of the dough. Once this task is completed, fold the other half of the dough over the top of the filling. Using a pastry wheel or a sharp knife cut into square make sure that the dough is sealed around the edges. 5. Cut a couple of slits in the top of the dough and brush with the egg wash. Continue with second half of the dough. 6. Bake 12 to 15 minutes or until golden. Remove from cookie sheets to cooling rack to cool. 7. In medium bowl, beat powder sugar, vanilla, and enough milk to make the right consistency. Drizzle icing over cool pastries. Although I’m a little intimidated by your description of how difficult the dough can be to work with, there’s nothing I don’t love about these. You said the end result is worth the effort and from the picture it sure looks like that’s the case. 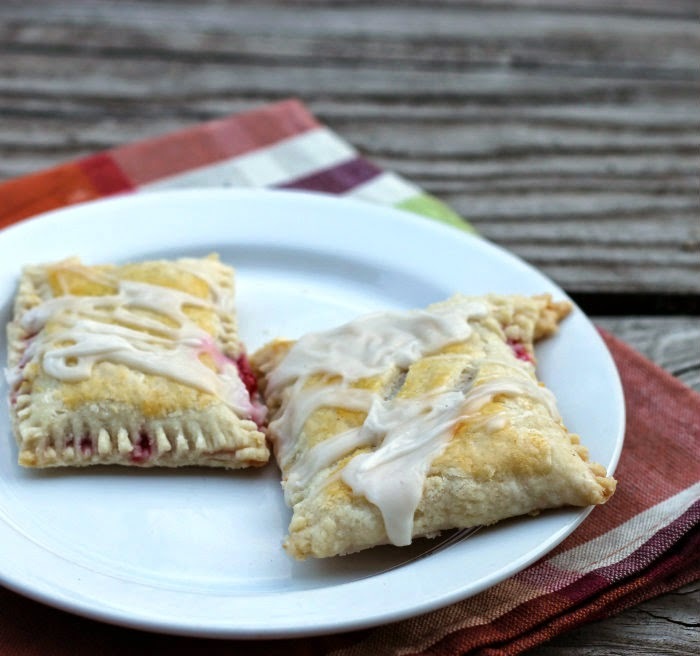 Homemade pop tarts! I am totally into these. I think there are some recipes that are just hard/more time-consuming and we just have to accept that that’s the way they are! Perfect for a weekend where I have time to really spend in the kitchen. I’m so glad you posted them – they look and sound insanely good! Love the raspberry/cream cheese combo. These would be the first things I thought of when I woke up!